Mission Be is dedicated in Loving Memory Beth Winter, 1980-2003. Beth was Carin Winter’s beloved younger sister who always taught her to believe in the power of kindness, what it truly means to be graceful, happy, and compassionate. Beth died suddenly in 2003 from a dangerous side effect of the SSRI drug, Paxil, which was prescribed to her by her primary care physician, one week earlier for mild acute anxiety related to her first job interview after graduating college. Other then Beth’s beautiful ability to naturally embody mindfulness and compassion, Carin believes that if Beth had a mindfulness practice to manage her situational anxiety, she may have avoided being prompted by a doctor take a prescription drug that has serious high risk and deadly side-effects. 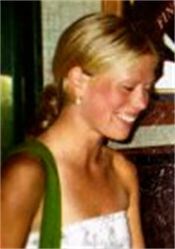 Since Beth’s death, her family worked hard with a number of other educated families, doctors and researcher advocates and diligently influenced the Food and Drug Administration to issue Black Box Warning Labels on all SSRI’s; currently the highest level warning a drug can get before it is banded off the market. Sadly today, our great nation takes more SSRI’s and tranquilizers than any other country in the world. SSRI’s are oftentimes the first line of offense against anxiety or depression, when there are many healthy alternatives in this world that are safe and do not have deadly side effects. In Beth’s journal she left a quote, “When you look back at the moments when you have truly lived, it is when you have done things in the spirit of love.” by Henry Drummond. It is in “spirit of love,” for that Mission Be has been built and is sustained. To learn more about Beth’s story visit, www.MissionBeth.org and watch this video to see how Beth embodied mindfulness with her peaceful and joyful nature. A cloud from Beth’s window in 2004 after she passed. Carin saw this the street in NYC in 2010, after creating an assembly for teens called “Becoming Dreams,” which told Beth’s story of how she died and the positive impact she had on many lives prior to her death. Even the greatest loss can be meet with a sense of peace, resilience and service to others.